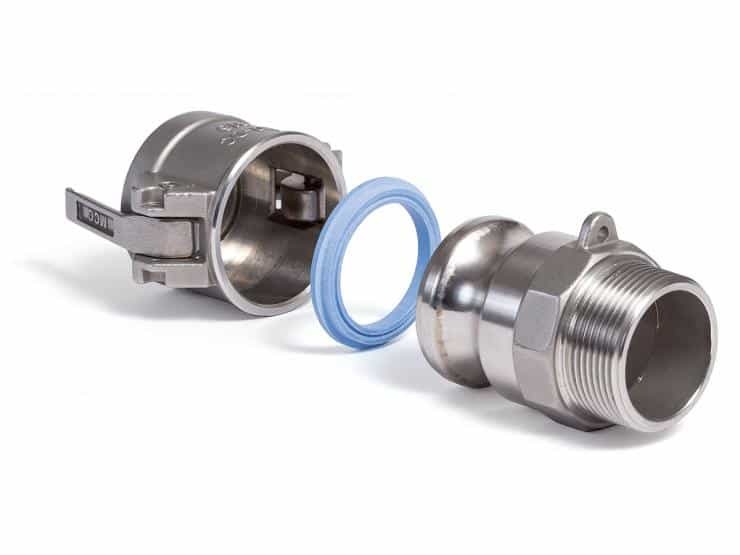 Camlock connections are the standard connection for quick coupling in the food industry as well as the chemical industry. GYLON BIO-LOK® is made of highly compressible and flexible material GYLON® Blue Style 3504. The seals offer a high stability and provides a solid seal when assembled. *Please note: As the product is also used within processes and industries, which are not rated to EC 1935/2004, please indicate traceability documentation needs at the time of order.